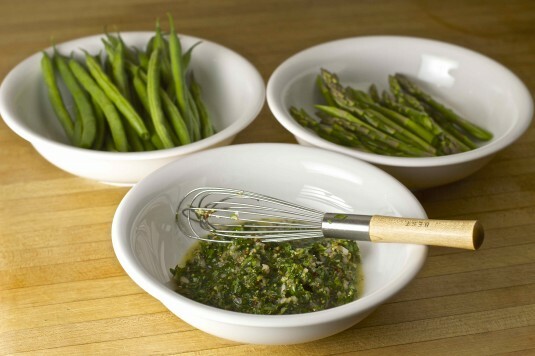 This recipe for green beans and asparagus with a tangy parsley sauce hits the spot. It really doesn’t need much of a recipe, it’s that easy. Steamed green vegetables with a simple herb vinaigrette. Kind of like a parsley pesto, I guess, except without the nuts. It can be made ahead, and served warm, at room temperature, or cold (as I did the next day with the leftovers). A simple way to dress up green vegetables, as a side dish or salad, on a dreary winter day. This can be served warm, or made ahead and served at room temperature or chilled. 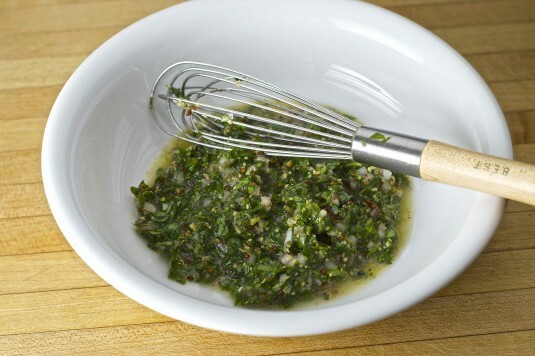 In a small bowl, combine parsley, shallot, capers, mustard and lemon zest and juice. Add a little salt and pepper. Whisk in the olive oil a little at a time, until the sauce has emulsified. Taste and adjust for seasoning. Set aside. 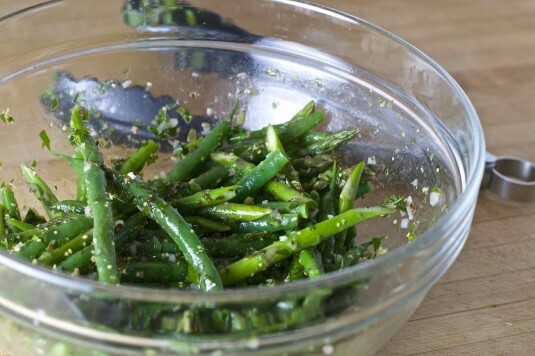 Steam, blanch or microwave green beans and asparagus until just tender. (Err on the side of under cooking them slightly, particularly if you're making this ahead of serving time.) Transfer vegetables to a large bowl. Pour half of the parsley sauce over the vegetables and toss to coat. Add more sauce if you find the vegetables need more. Serve immediately or keep at room temperature for a few hours. Refrigerate any leftovers and have them for lunch the next day -- they're fabulous this way!